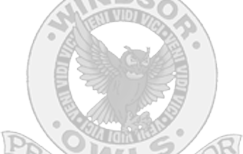 The mission of the Windsor C-1 School District is to inspire all students to develop a vision within themselves and become contributing members of society, by providing excellent educational opportunities founded on the fundamentals of a caring family, school, and community. The Windsor C-1 School District is one in which all stakeholders work collaboratively to be academic leaders in an atmosphere of mutual respect. It is a true learning community where everyone strives to improve our academic excellence through progressive curriculum and instructional practice. The schools of our district exhibit high standards, with the needs of our students as the top priority. The library program implements the philosophy and objectives formulated by the district and the school. The program is intended to assist students to function as individuals and to participate fully in a democratic society. The library contributes to the development and growth of each individual and empowers the educational mission of the school. The Windsor Middle School Learning Resource Center strives to enhance the educational experience of all students and faculty, encourage reading and learning for enjoyment, and help patrons access information by providing age-appropriate reading materials for both fiction and nonfiction selections consisting of novels, magazines, newspapers, audiovisual items, electronic resources, and reference materials. The Library Media Specialist shall work collaboratively with the classroom teachers to schedule sufficient LMC instruction for both circulation and research purposes. The Library Media Specialist and Collaborating Teacher will discuss the outcome of the assignment and plan accordingly to reach said outcome. The Library Media Specialist and Collaborating Teacher will maintain a project sheet. All students must have their photo ID card and a proper library pass to check out library materials. All students may check out two library books simultaneously. The student may retain a library item for three weeks. If an item is past the due date the student will be charged five cents per day.